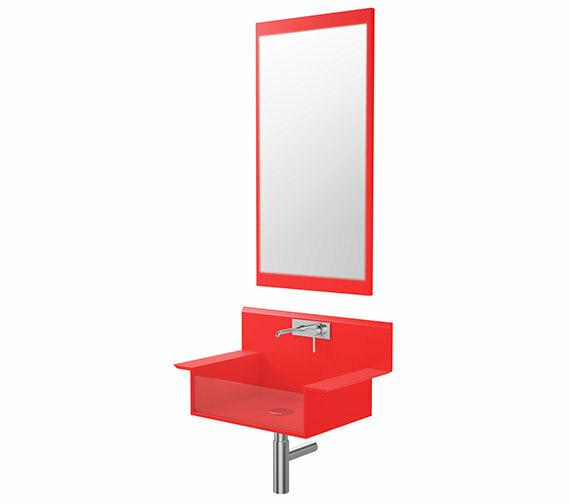 Bold and beautiful--that is what describes this Red Wall Hung Basin with Mirror, featuring a new-age design. Manufactured in-house by QS Supplies, from hygienic and sturdy Corian, the basin resists stains, burns, bumps and bacteria. 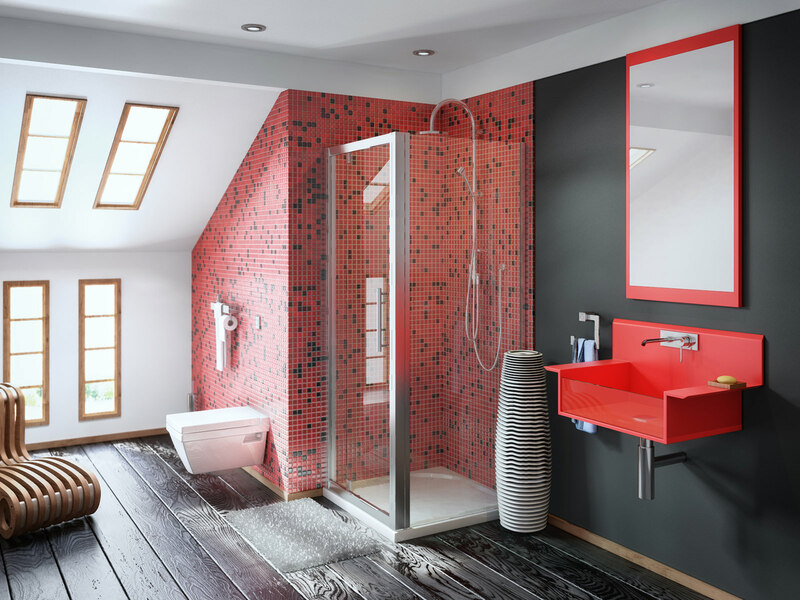 The front part of the basin features a transparent safety glass, giving the entire basin a stylish edge. Hard to miss in any bath space, the basin comes with wings and splashback. 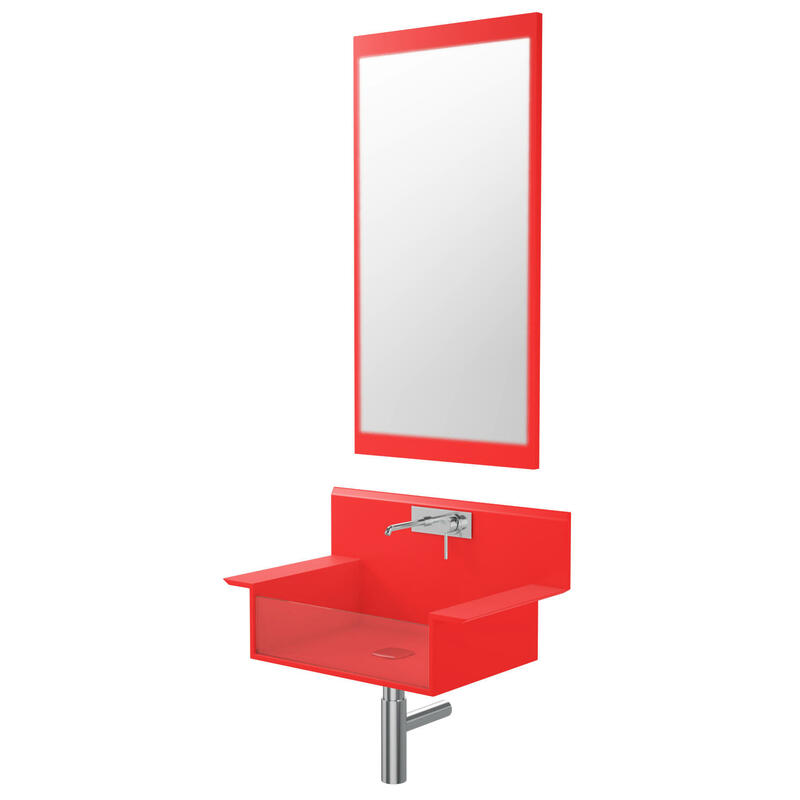 The sink’s most outstanding feature is the bright red hue, coupled with a mirror with matching frame that will captivate you instantly. Sure to tickle your feminine side, the practical and effective sink includes waste and bottle trap for optimum user benefit. With Portrait installation, the rectangular glass mirror ensures effortless grooming moments. This adorable fiery wonder carries a 5-year warranty from QS Supplies against any manufacturing defects. Please Note: This is a special order item and it takes minimum 20 working days to built this. Image shown is for illustration purpose, may differ from the actual product. Corian Material: It is a solid material made from malleable compound of ultra-resistant acrylics mixed with natural minerals, which features homogeneous, long-lasting, hard, non-porous surface which neither absorbs liquids nor smells, guaranteeing total hygiene. The non-porous surface keeps it germ-free and prevents mould, also, allow you to clean it with common cleaning products used at home. Even the difficult stains or burns can be removed easily by just applying a slightly abrasive cleaning product with a Scotchbrite-type sponge. The material will not damage by slight hits, but using sharp objects or cutting directly on the surface of the material can cause damage.